I have a DK65 Tractor with Hydraulic clutch. I've bled the clutch and such. When I'm in HIGH 1 raking, the clutch slips for a bit and then grabs and takes off, kinda like there is oil or something on the clutch. I haven't removed the access panel to look at it yet, It could be worn out (450 hours). If not worn out, any suggestions? If it is worn out something has to be wrong. Are you sure there is nothing binding the clutch linkage, have you tried oiling or greasing all the linkage? If this isn't too obvious, how's the pedal adjustment? Well, there is no linkage per say, but the free travel between the rod from the clutch pedal to when the rod starts pushing in on the slave cyl. is about 1/8". I bled the system to no avail. I'm starting to think the clutch is shot. I have a comparable Kubota and it went at 300 hours. They say having a bucket on the tractor is harder on the clutch (for some reason) I guess i'll take it to the dealer and get one put in. Maybe a little heavier duty one. No binding, the clutch will grab after is slips for about 5 seconds. Guess i'll be on the "NO CAB, NO A/C Ford 600 til its fixed. I can understand having a FEL being hard on clutch with the stopping and starting but to me that is still real low hours. Sure the operator is not riding the clutch? Yeah, cause I'm the operator , But it had about 380 hours on it when I bought it, so the damage could have already been done. I took the observation plate off and it does (from what I can see) look worn. I agree about the low hours, I guess I won't know until I get it in half anyway. Anyone have a good source for OEM Koiti parts online? That was why I hated to ask. But there is something in each of our lives we can improve on. Like I learned last week how not to place your second hand on a large caliber pistol. Only a cut scraped, numb thumb. Slide, meant to ask this earlier...the Ford "600" did Ford make a "600" or is there some number missing? Such as 601 or 641(?) or 6000? If it is in the 601 family I feel your pain. Just in case anyone is interested, I FINALLY talked to a straight shooting dealer. 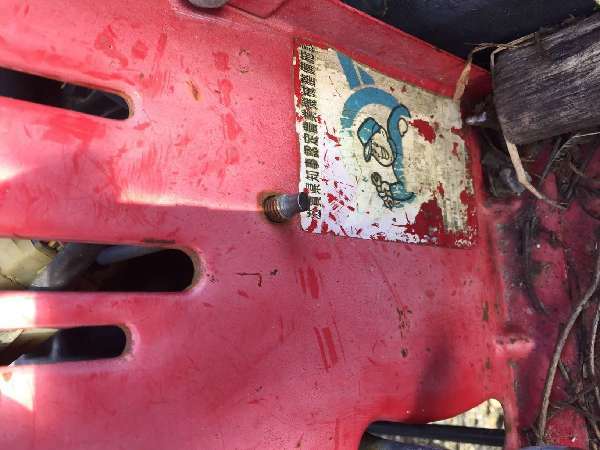 He said the DK65S tractor was notorious for eating clutches. He said he had been doing a 90HP upgrade with the Kioti 90 HP Ceramic clutch, pressure plate and throw-out bearing. Also the metal hose between the master and slave was upgraded in size for better clutch action. He said he had replaced DK65S clutches at 100 hours before. All parts right at $1400. I'm going that direction. This straight shooter is Tim at Wolfe Tractor and Equipment in Covington Virginia. Give him some business if you can.